This post is sponsored by The Pencil Grip, all thoughts and opinions are my own and honest and true. 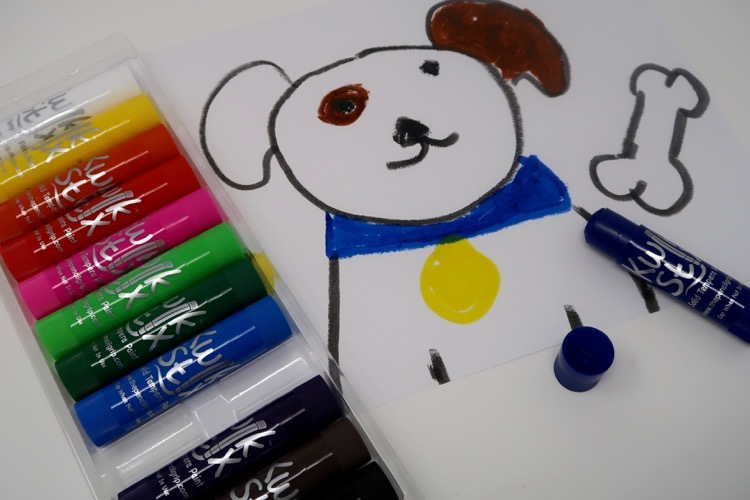 Last year we were introduced to the Kwik Stix Solid Tempera Paint Sticks and we have been having fun with them ever since. These fun paint sticks take the mess out of painting but still keep all the fun! 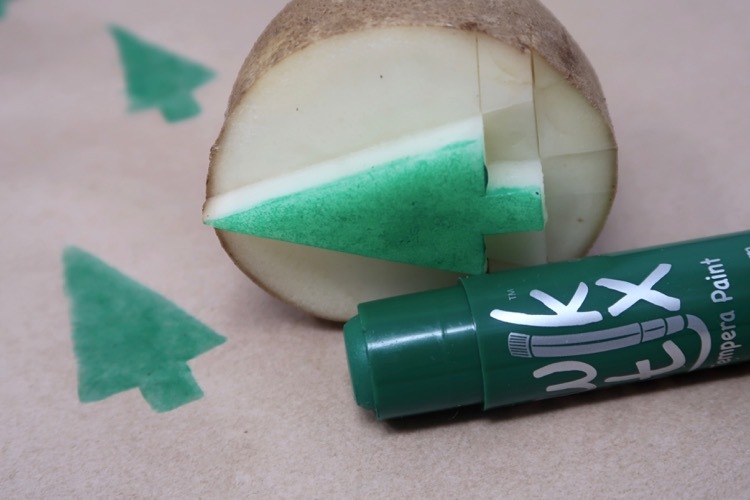 The Kwik Stix are non-toxic and quick and easy to use. One of the best features is that they dry in 90 seconds! You can find the Kwik Stix online at Target.com. I love that the colors are vibrant and they won’t fade or crack. They are so easy to use, you just uncap, twist and paint. 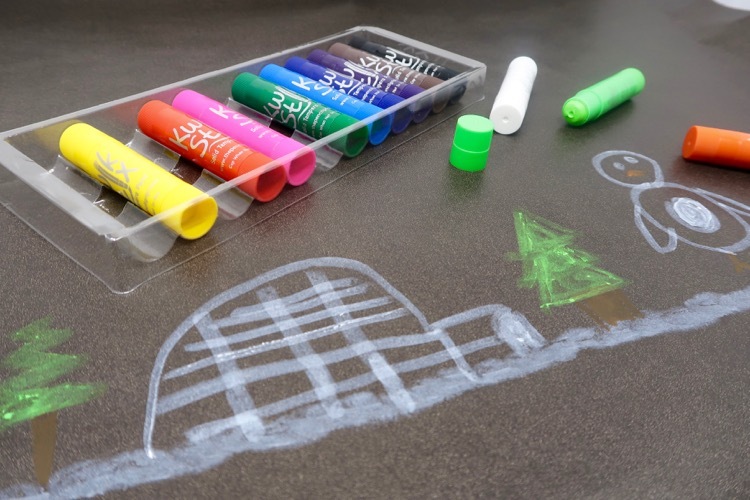 Kwik Stix work great on several different surfaces like paper, posterboard, cardboard, wood, and canvas. 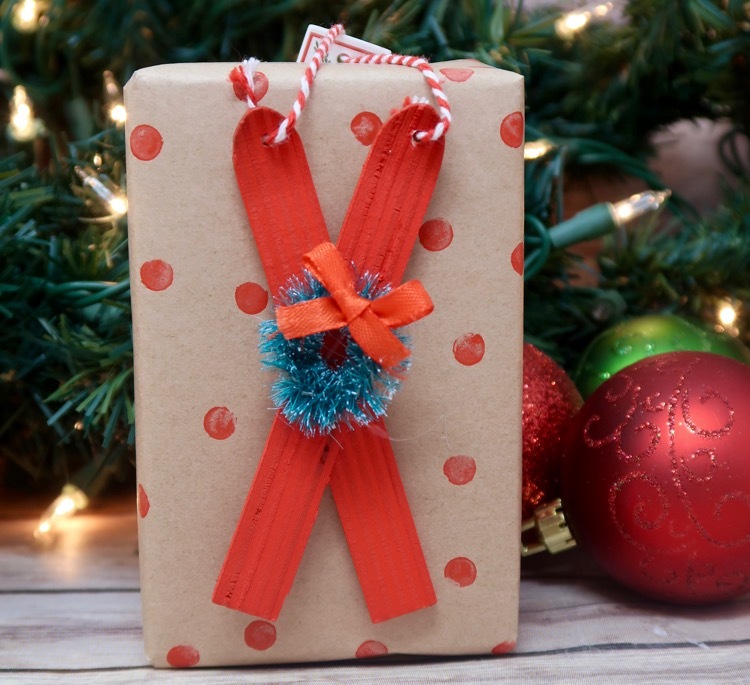 We are sharing several fun ways that you can use the Kwik Stix to make some DIY gift wrap. The kids will have fun helping and you can even make some pretty gift wrap that will be great for adult gifts too. 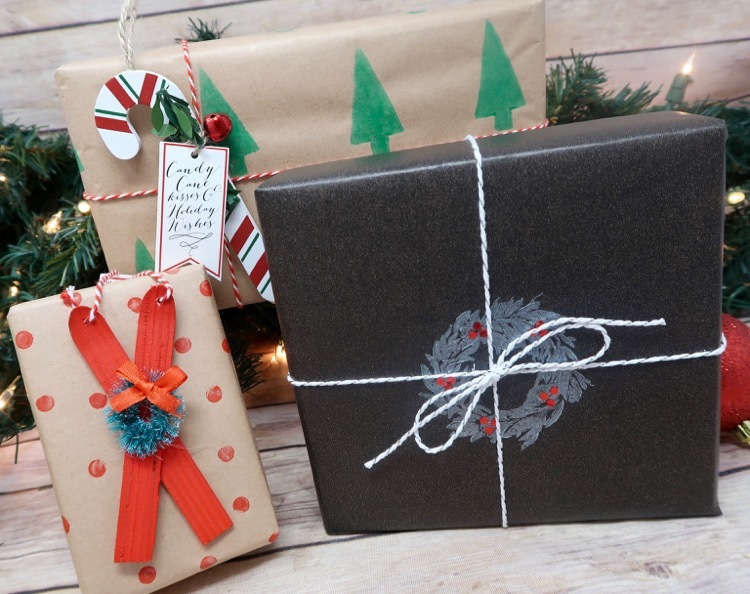 We used some solid Kraft and black paper as the base for our wrapping paper and decorated them with the use of Kwik Stix and a few embellishments we found at the Target Dollar Spot. 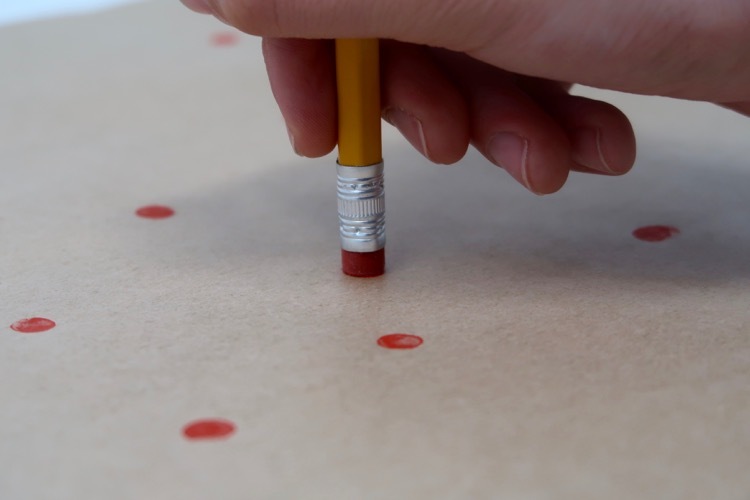 The first method will make a polka dot pattern. 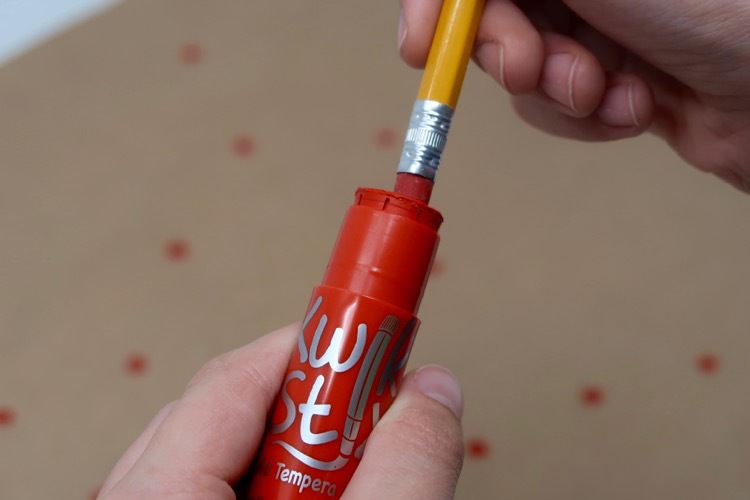 You simply rub the end of a pencil eraser (it’s best if it’s new) on the top of the Kwik Stix paint stick. Then stamp the eraser with the paint onto some Kraft paper. 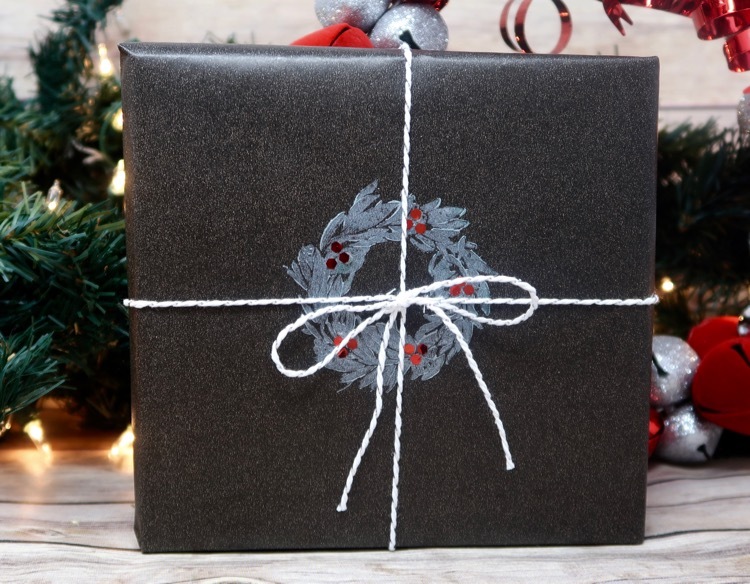 Once you are finished you will have a fun polka dot print that you can use to wrap your gifts. I finished this one off with a gift topper I found in the Target Dollar Spot. I think it turned out so cute! 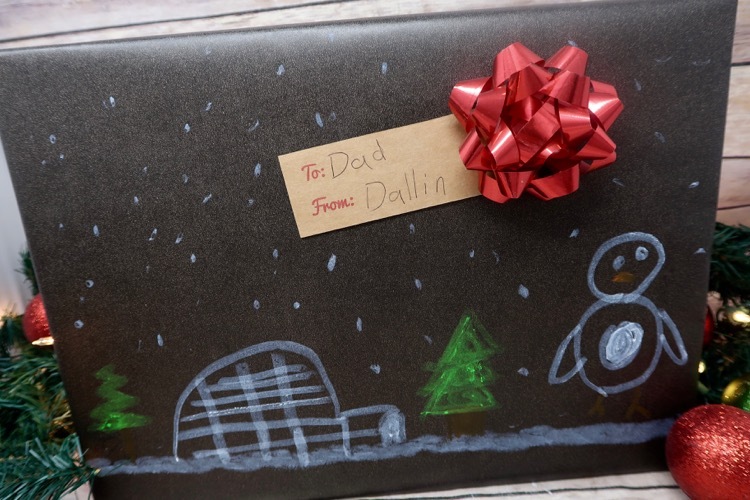 Another way to make your own gift wrap is to have your kids draw some artwork on the paper. My son drew a winter scene on some black Kraft paper. I love how he was able to make a snow scene because the 12-count pack of Kwik Stix comes with a white paint stick. Here is the final results with the artwork. 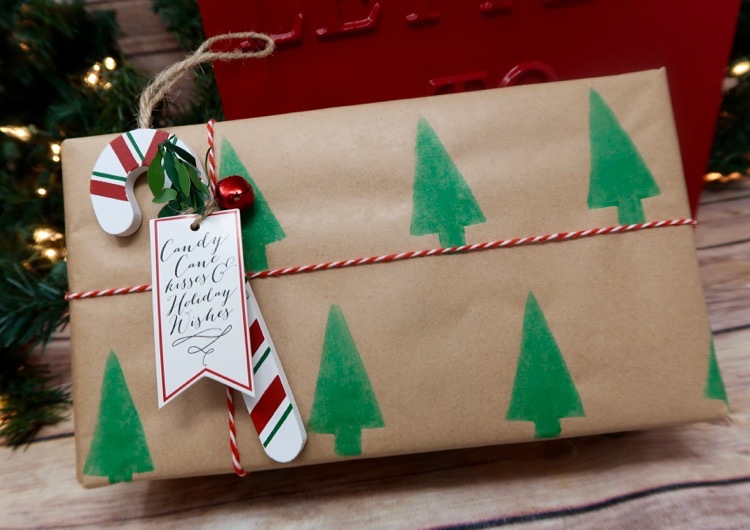 This type of wrapping paper would be great for the Grandparents because they would also get some fun artwork from their grandkids. 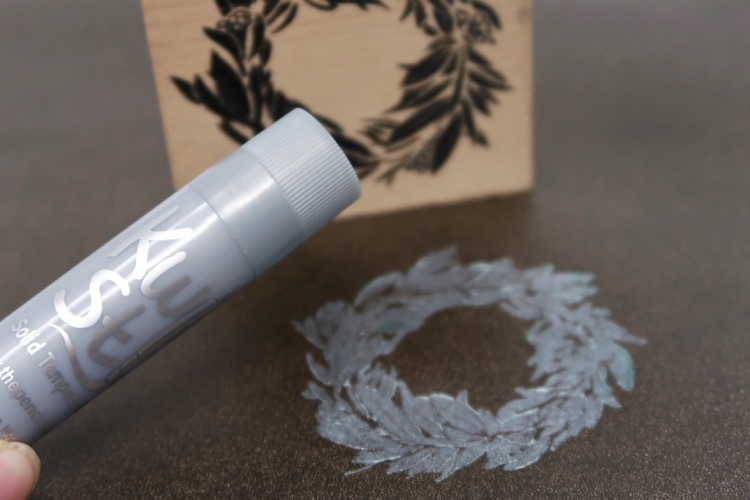 We used the Metallix set of Kwik Stix to make a silver wreath. We took a stamp we found in the Target Dollar Spot, covered it with the Silver paint and stamped it directly onto the black wrapping paper. 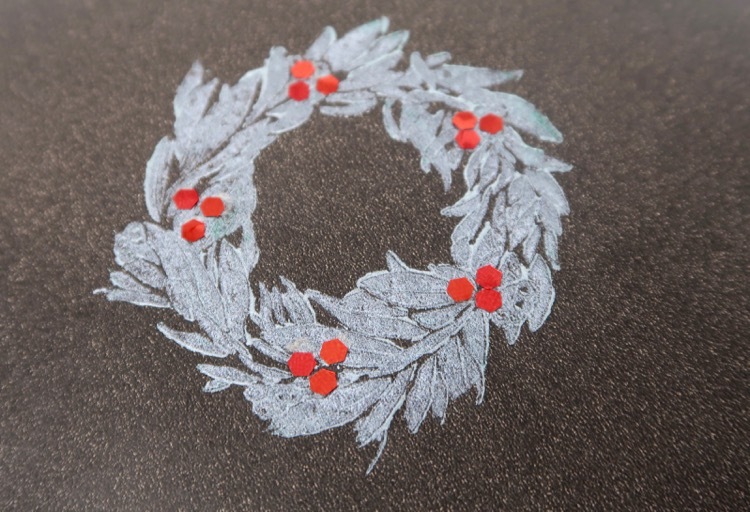 Next we used some of the red confetti from the Dollar Spot to make the berries on the wreath. We tied it all up with some silver and white baker’s twine. This one turned out gorgeous and it was so quick and easy to do. My kids love to make artwork with potato stamps. This is something I remember doing as a child. You cut a simple image out of a potato and then use that image to stamp onto your artwork. You just cover the image with one of the paint sticks and you are good to go. 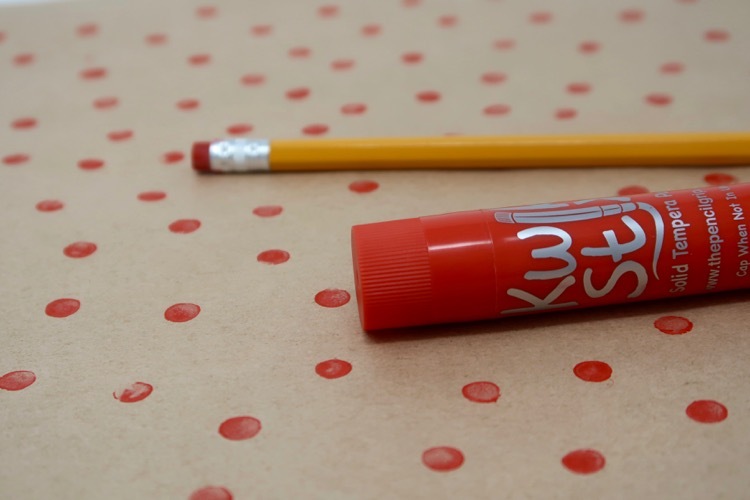 I love the fact that there is no messy paint to clean up, it is one of my favorite features about the Kwik Stix paint sticks. When ever you feel like painting you don’t have to drag out a bunch of supplies, you just grab with Kwik Stix. Clean up is a breeze too! 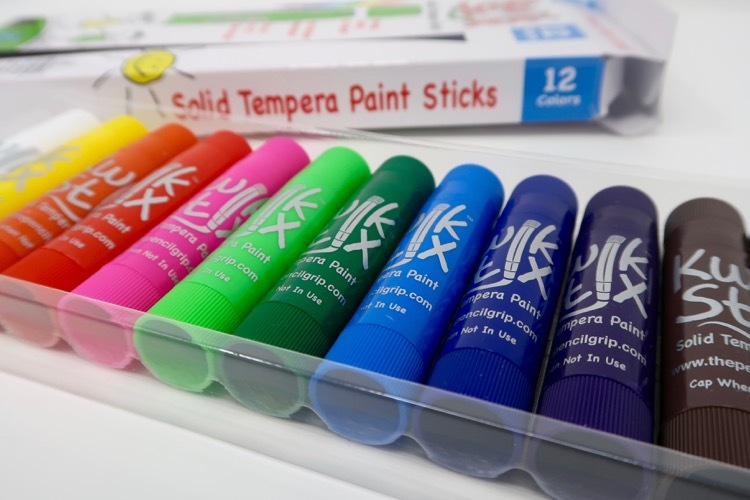 The Kwik Stix paint sticks would be perfect for your kid’s holiday crafts or they would make a great gift or stocking stuffer. They come in the classic or metallix colors. Get the Kwik Stix online at Target.com with FREE shipping through December 23, 2017.